Photometric measuring system provides quick design and manufacture. 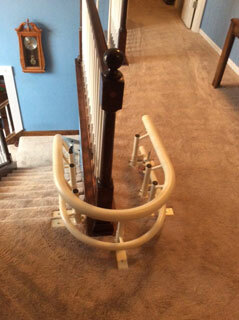 Simple, sturdy, elegant two rail system allows for tight bends and travel close to the wall. Fewer joints than other brands allows a smooth ride. 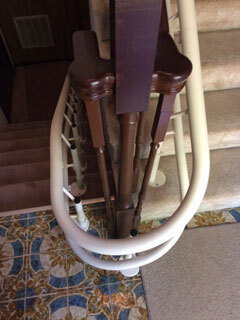 Usually designed to park off the stairs, not on the stairs, so as not to be an obstacle. 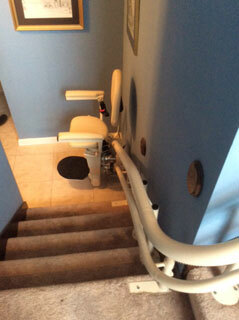 Helix Custom Curved Stairlift in a split-level home. 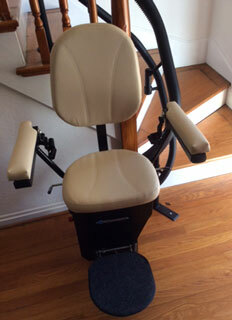 Helix Custom Curved Stairlift with 90 degree turn. 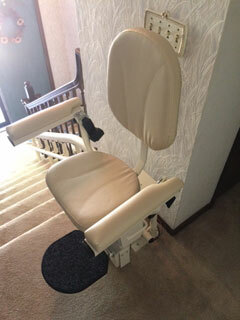 Helix Custom Curved Stairlift with 180 degree parking at top. 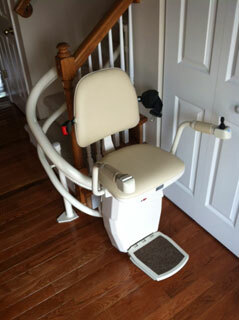 Helix Custom Curved Stairlift with 180 degree turn in a split-level home.